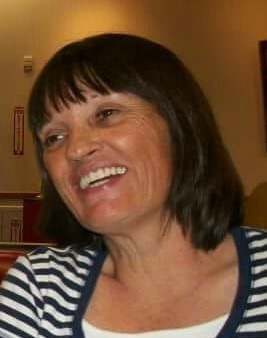 Rebecca Lee Lindberg, 53, of Mesa Arizona; passed away on February 23, 2015 in Mesa. She worked for Mesa Public Schools in the cafeteria. Rebecca is preceded in death by her parents: Walter Ardell Robbins Sr. and Beverly Lou (McDaniels) Robbins; brothers: Walter Ardell Robbins Jr., Leslie Clyde Robbins; and sister: Kathy Lue Robbins. Those who remain to miss her are her husband: William M. Lindberg; daughter: Angela Kelly and son-in-law D. John Oliver II; granddaughter: Lillian Michelle Oliver; sister: Ruthie Irene Robbins and many many relatives and friends. Too many to list. In lieu of flowers donations may be made to a charity of your own choice. Bunker’s University Chapel handled arrangements. Mom was the most selfless person I have ever met. She loved her friends and family more than anything and always thought of others before herself. She was not only my mother but my best friend as well. My daughter, her granddaughter, was her joy. They really were BFF as she would always say. I am thankful that they got these 6 years together. She was taken from us way too early and too quickly. Lily has promised to tell her little sister when she comes all about grandma. I know she is watching over me and all of our family and friends. Until we meet again mom, I love you. Becky was my best friend, and my better half. We lived as One. She was Me, and I was She, and We were always together. Even when we were apart, we constantly thought about each other. She cared deeply for everyone she came into contact with. Strangers she met, instantly liked her and wanted to help her. She was my guardian angel in life and I know she will be my guardian angel for the rest of my life. I will always miss her till the day I die. Rest in Peace sweetheart. I love you. So sorry Bill. Without explanation, Becky has a special spot in my heart. Can’t explain…..been trying to find her on facebook for several years with little success. Then I stumbled across this. OMG. ……please shoot me a message. OMG. I was facebook searching and came across this. So sorry to hear. RIP. My dear cousin. Bill,Ruthie,Edie,Brian,Angie. Please contact me. Thanks. To Mrs. Lindberg’s family, I’m deeply sorry for your loss. It’s my hope that you can draw comfort and strength from Jehovah God’s promises in the Bible. At Revelation 21:3,4 and John 5:28,29 He promises that there will soon be a time when we will not experience any more pain, sickness, or death, and we can see the loved ones we have lost again. Please accept my deepest condolences.